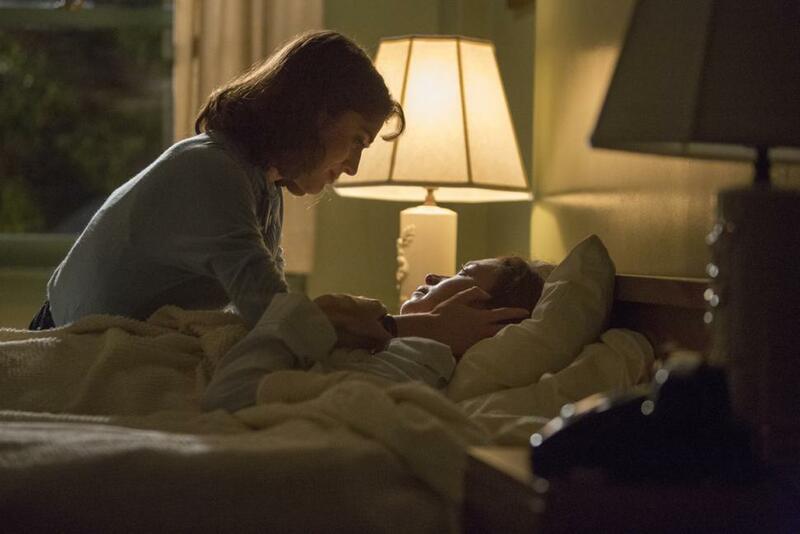 As revealed at the end of season 1, Lillian is fighting terminal cancer and the end is near. The cancer itself and the treatment to prolong her life is taking a pretty big toll. What’s heartbreaking is that Dr. DePaul has pretty much thrown her entire life into her work at the expense of connections and relationships along the way. At this point she’s had to set aside her work because of the disease and finds herself terribly alone — there’s no husband, no lover, no children, no brothers and sisters and nephews and nieces, no gaggle of friends to lean on. No real human connection except for her rather difficult friendship with Virginia. Virginia comes over to see her, and soon they find themselves talking over a bottle of wine and listening to music. Virginia asks Lillian if she’s ever been in love. The answer is heartbreaking– she thinks so, but no one was ever in love with her in return. Lillian brings up Virginia’s relationship with Bill Masters and calls it love, and while Virginia scoffs at the notion her body language and smile betrays that she knows it’s true. What’s fantastic about Julianne Nicholson’s performance is you can see the envy in her face, not in a bitter, angry or jealous way but more just… sadness and regret. And it totally hit home with me. I have so many friends for whom love seems to come easy, both falling in love and being loved, and it’s difficult not to feel envious of them for that which hasn’t really been the case for me. At our core we are social animals, and we all want connections with other people; we want to know that people are thinking about us when we’re not around, people are wondering how we are, people are wanting to be with us, desire us. If you don’t have that in your life there’s an ache that gnaws at you, and Nicholson conveyed that ache poignantly. That moment alone would be powerful enough, but the show takes it to another level. Virginia, being the kind person she is, recognizes the envy and deep loneliness in her friend. As Virginia tucks her friend into bed at the end of the evening, Lillian laments the large number of freckles on her skin. Virginia tells her she doesn’t see freckles but instead a constellation of stars, including a warrior princess she called “Lilantha” which I think she made up but it was darling sweet. Then Virginia leans down and kisses her goodnight on the lips… and the kiss lingers much longer than expected. And I had to stifle some tears watching it, because that kiss just capped a brilliantly orchestrated emotional note that was pitch perfect. The kiss was too long for a friendly kiss, and I think Virginia was purposeful in that. It was very much a lover’s kiss without being sexual. It was a kiss that said– I’m here. I love you. I value you. You mean the world to me. I’ve read some reviews and listened to a few podcasts that mentioned the kiss, and nearly all of them glossed over it as just a kiss between friends, a “sisterly” kiss, a kiss goodbye. But a few were in agreement with me that that kiss meant a whole lot more. The kiss lingered much too long to not mean something much deeper, a primal message that words cannot convey. 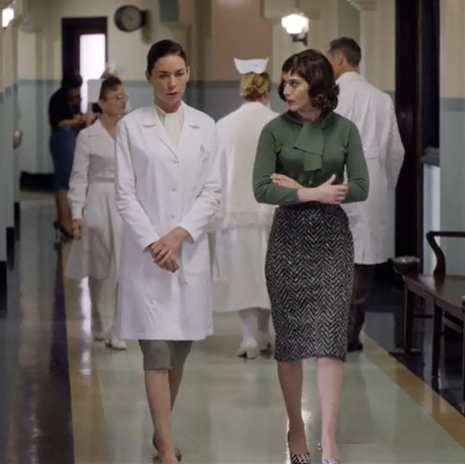 The direction for that scene was just perfect, and the actresses hit it out the park, especially Lizzy Caplan as Virginia Masters. In the words of Burt Cooper, bravo! !